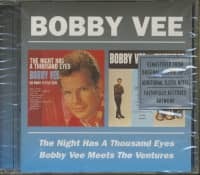 (1990/EMI USA) 26 tracks (​72:34) with 6 panel color foldout. 02 What Do You Want? 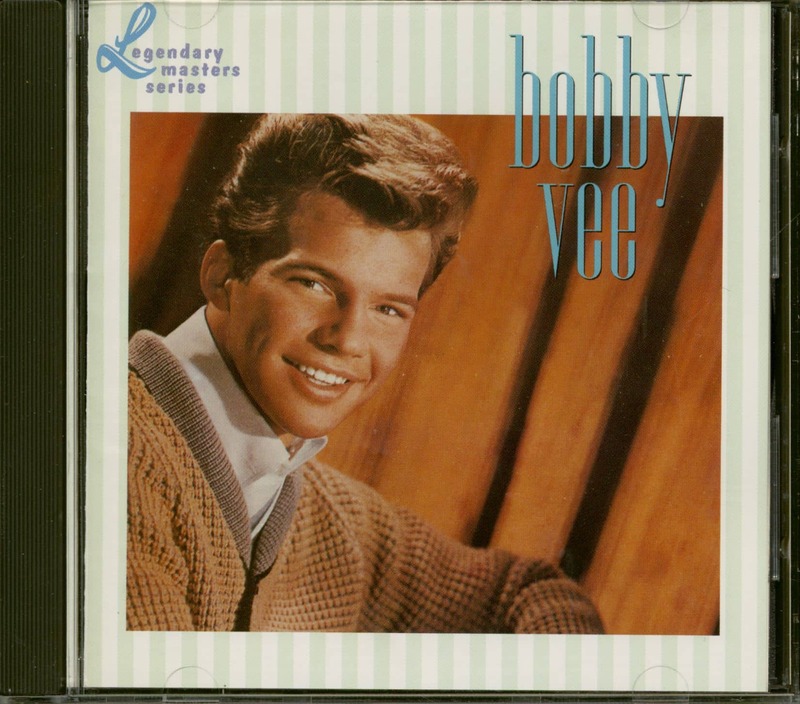 Real Name: Robert Thomas Velline Born: April 30, 1943 Hometown: Fargo, North Dakota Bobby came from a musical family. His father Sidney played the violin and piano, his uncle played sax, and his two older brothers, Bill and Sidney, Jr., both played guitar. 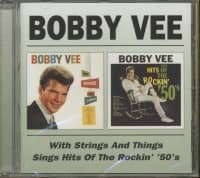 Bobby learned to play the guitar in high school. He played for a while in a group called the Shadows with his brother Bill and friends Jim Stillman and Bob Korum. On February 3, 1959, when Buddy Holly, the Big Bopper, and Ritchie Valens were killed in a plane crash, the Shadows were asked to fill in on the scheduled show in Fargo, North Dakota. 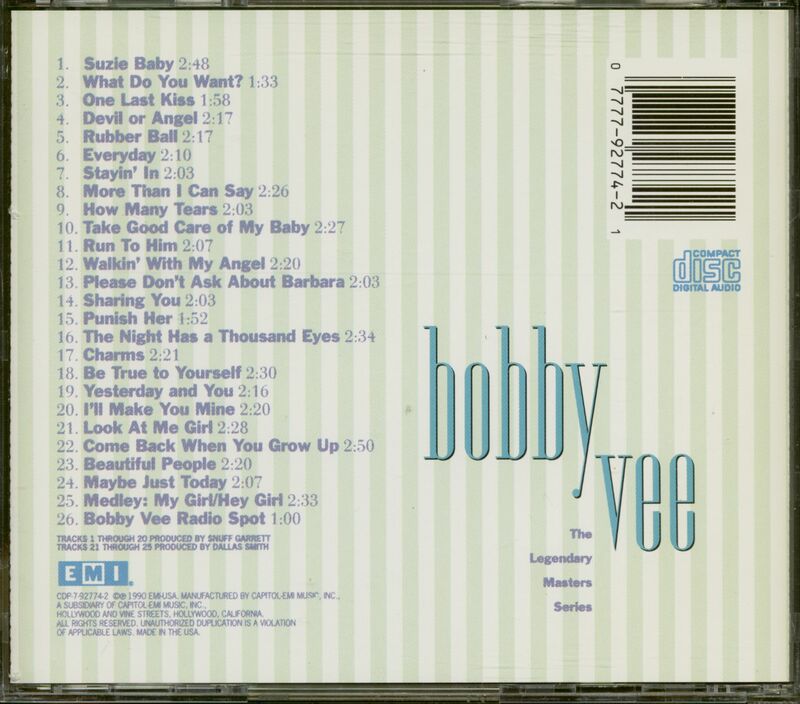 Bobby was asked to sing with the group because he knew the lyrics of six of Buddy Holly's songs. 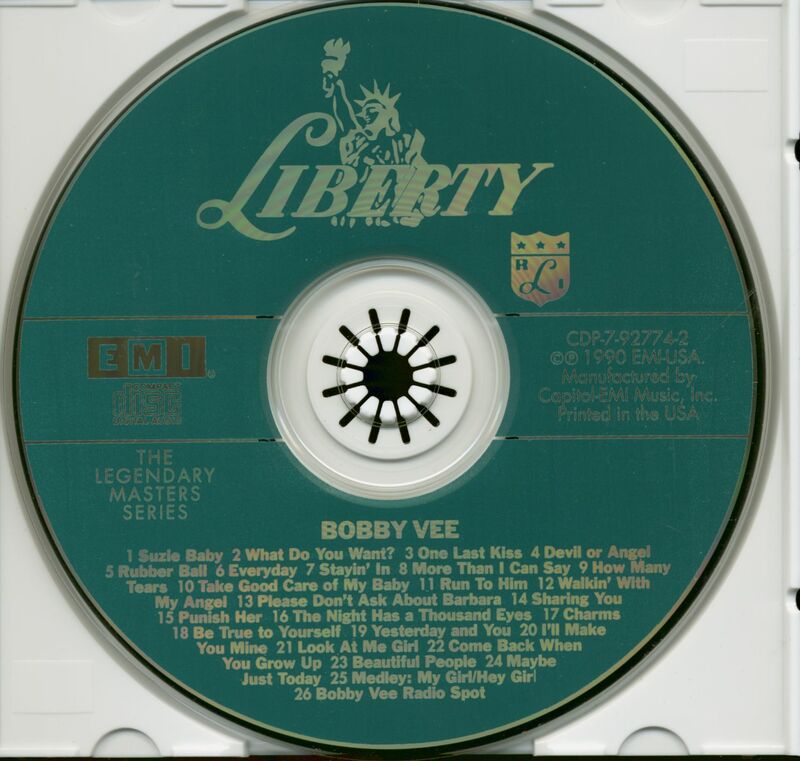 The audience loved his performance so much that an executive from Lib-erty records contacted Bobby to sign with the label. 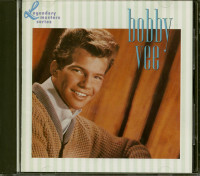 Later that year, he had his first release on the label, "Suzy Baby." 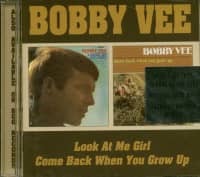 His first major hit was a song the Clovers had made popular in 1956, called "Devil Or Angel" which became a hit for Bobby during the summer of 1960. 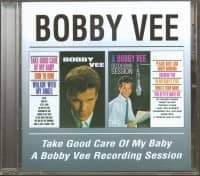 In July of 1961, he recorded his only number one national hit with the Carole King and Gerry Coffin tune "Take Good Care Of My Baby." . Kundenbewertungen für "Legendary Masters Series (CD)"